Yesterday was my tot's Halloween party at school. He went to school in Darth Vader costume with a mask as well. What a big difference a year makes. Last year, I had to beg and bribe him to wear his Mickey mouse costume. This year, I asked him not to wear the mask as he won't be comfortable in class but he insisted. When I went to pick him up, he was all hyped up with sugar. Teachers thought it's so funny how he's running around the classroom which he never does. According to them, he's usually mellow. That's a bit of a surprise. Well, he's not overly wild anyway, so I guess outside of home, it makes sense that he's a little more calm. 1. Preheat the oven to 375F. Toss butternut squash, 1 tsp olive oil, salt, pepper and garlic powder together and spread in a single layer on a sheet pan. Bake for 15-20 minutes or until tender. 2. In a skillet or a deep sauce pot, heat 1 tsp olive oil and saute the shallot. 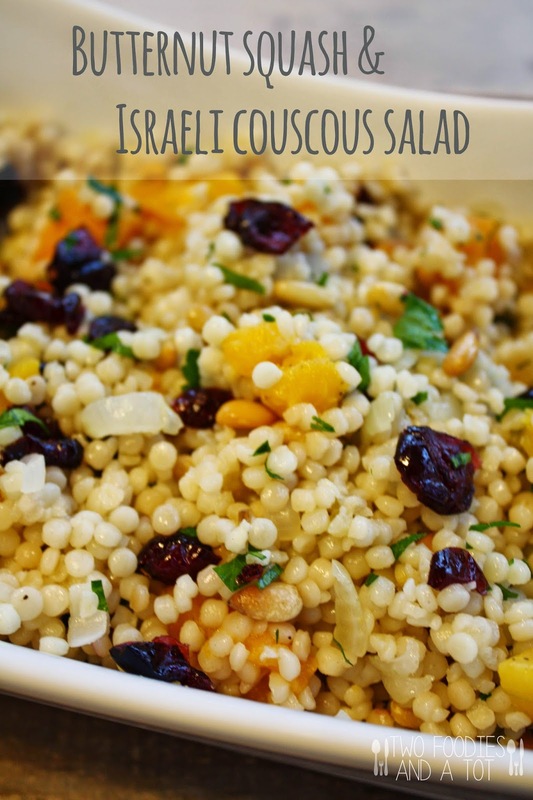 Add couscous to it and stir until lightly toasted. Add water and salt. Bring it to a boil, cover and simmer for 10 minutes. When done, uncover, fluff with a fork, and let it cool for a few minutes. 3. 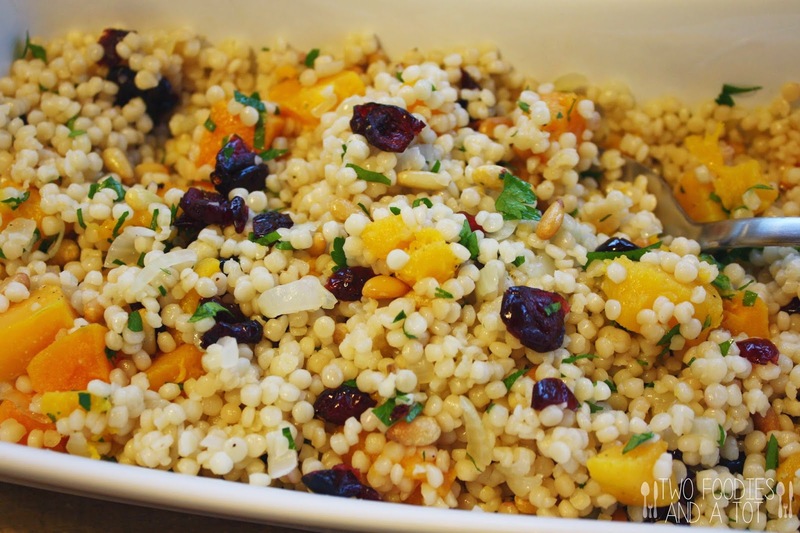 Add 1 tsp olive oil, salt and pepper, juice of 1/2 lemon, pine nuts, dried cranberries to couscous and toss it together. Add butternut squash and parsley and toss gently. Serve.